Instinctively, it flapped its wings in excitement, like a dog shakes its leg when scratched just so. How many years had it been? it thought. How many years years had it been Kansas City’s Magic Jazz Fairy? Because never in all those years had it seen anything quite like this. Every city has a Magic Jazz Fairy. It’s a phenomenon we’ve discussed before (here, here and here). How else to explain some jazz club owners never promoting yet expecting customers to show up? It’s because they know every city’s Magic Jazz Fairy tracks when jazz performances will happen, then flies around at night and whispers into the ear of every jazz fan when and where to find jazz, so that when we wake up, we know, we just know. After all, it cannot be the club owner’s fault if they don’t promote and nobody shows up. They’re savvy businessmen. There must be someone else at fault. If nobody comes, it must be the fault of the Magic Jazz Fairy. But this time, this was something different. This jazz club usually promoted itself well, though an online calendar, and Facebook postings, and emails. Now, however, nobody was coming because it was a jazz club with no live jazz. Jazz musicians were boycotting it. This was something entirely different. The Magic Jazz Fairy’s wings instinctively flapped again. It had flown by the club just the other day. There were no signs in the windows, no indications of upcoming shows. It looked at the club’s online calendar. The calendar was blank. This club wasn’t promoting because, from all appearances, it had nothing to promote. The Magic Jazz Fairy had seen the TV news stories on the club. They’re all on YouTube (and, with a major jazz club having nothing to promote, the Magic Jazz Fairy had time on its wings to look at YouTube). It had seen the multitude of blog posts. It had seen the accusations of addiction and abuse. It had seen the stories of staff being fired or quitting or not showing up. Not that how it happened mattered. The bottom line was that, for a time, there was no staff. The owner spoke when triumphantly reopening the club’s doors, with a newly recruited staff trained and ready to serve. The Magic Jazz Fairy applauded the owner’s promotional savvy in using the press like that. But when reopening turned, apparently, into one week and out, the owner talked betrayal then publicly clammed up. 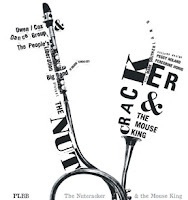 Betrayal, the owner claimed, by jazz musicians who refused to work the reopened and restaffed jazz club. Other musicians echoed those sentiments. Whatever sparked the staff upheaval, sparked much more. And it united Kansas City jazz musicians in a way the Magic Jazz Fairy had not seen in all its years on the job. The mystical, winged being smiled impishly. It had seen plenty broadcast and written, and deservedly so, on the ex-staff. It had seen plenty written on the club’s owner. Yet it had seen little but betrayal accusations written about the city's jazz musicians. This was no betrayal, the Magic Jazz fairy knew. 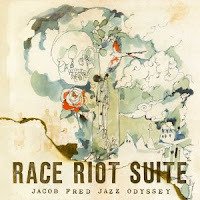 There's no abundance of opportunities in any city in 2011 to make money playing and singing jazz. Yet here is a group of extraordinarily talented artists disciplined in denying an invitation to perform, and during the holiday season. These musicians have skin in the game. That, the magic jazz fairy knew, drove credibility to their charges. The mystical being did not know what went on behind the curtain in that jazz club. But it knew many of these musicians, and their united sacrifice said it could believe in them. The Magic Jazz Fairy didn’t know what would become of the boycotted club. The owner may well be a savvy business person, but not savvy enough to draw customers to a jazz club without live jazz musicians. Selling the club seemed the most hopeful solution. With time, it thought, this situation would work itself out. Meanwhile, there was work to do. Other jazz clubs remained open and were now even more vital to the jazz scene. And other restaurants and clubs were picking up some of the cancelled shows. Every Kansas City jazz fan needed to know about these opportunities. The Magic Jazz Fairy smiled broadly. Like a dog scratched in that oh-so-perfect spot, instinctively, it flapped its wings. And said, “I need a jazz gift for under the tree. History as jazz, always crisp, sometimes blue. With a new retrospective, a pleasure to hear. To Old Wine/New Bossa you’ll always come back. KC’s top rhythm section while Laura Chalk sings. For the best jazz musicians, none better than that. 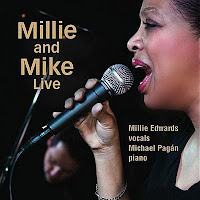 With Millie and Mike you will not go wrong. Makes this live recording a wonderful choice. Played one show with dance, a wonder to see. The music’s on CD, a great offering. 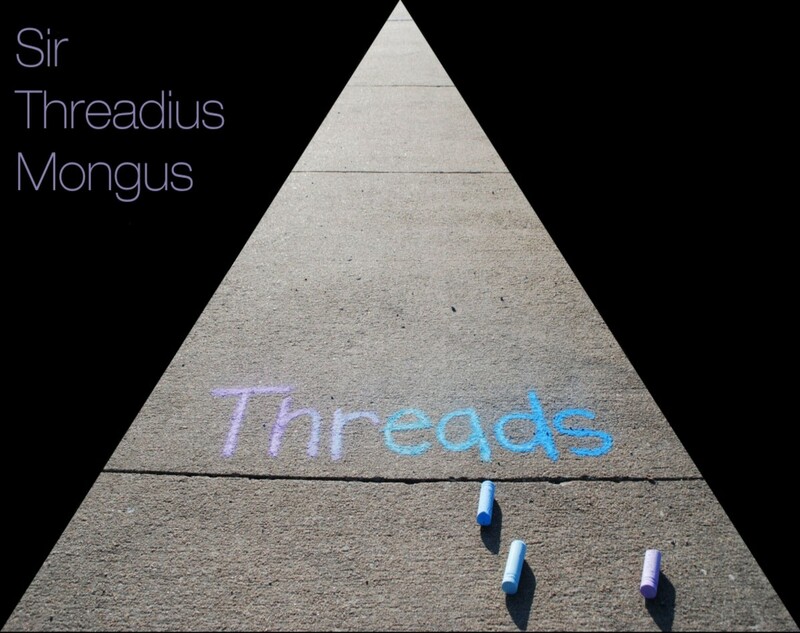 Sir Threadius Mongus plays jazz with an edge. On Threads, a great front line. On that I’ll not hedge. The talent’s superb. You just can’t do better. Karrin we claim. KC long was her home. So her CD, ’Round Midnight is one of our own. It’s won rave reviews. In some it scored ten. No surprise here, ’cause we knew her back when. • Jacob Fred Jazz Oddyssey’s Race Riot Suite is available from Amazon, here, or can be downloaded from iTunes, here. 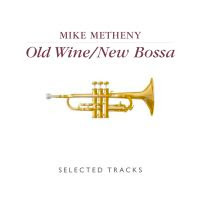 • Mike Metheney’s Old Wine/New Bossa is available from Mike’s website, here, or from Amazon, here. • Laura Chalk’s All the Things You Are is available from CD Baby, here. 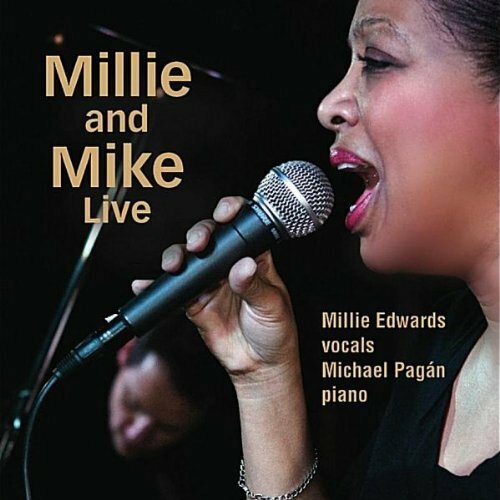 • Millie Edwards and Michael Pagan’s Millie and Mike Live is available from Amazon, here, or can be downloaded from iTunes, here. • The People’s Liberation Big Band of Greater Kansas City’s The Nutcracker and the Mouse King is available from Tzigane Music, here, or can be downloaded from iTunes, here. 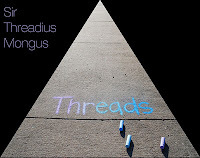 • Sir Threadius Mongus’s Threads is available from CD Baby, here, or can be downloaded from iTunes, here. 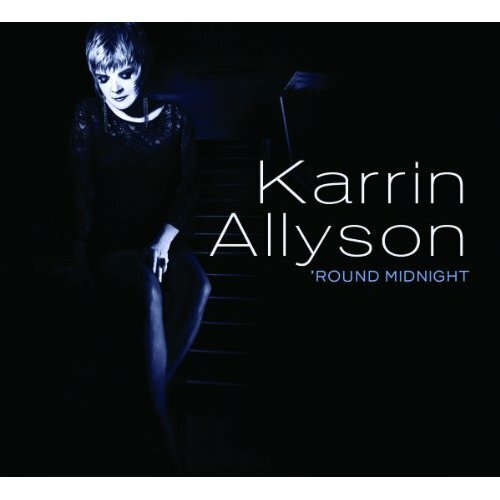 • Karrin Allyson’s ’Round Midnight is available from Amazon, here, or can be downloaded from iTunes, here. Myra Taylor: Born in Bonner Springs, Kansas, but raised, for all practical purposes, around 18th and Vine. 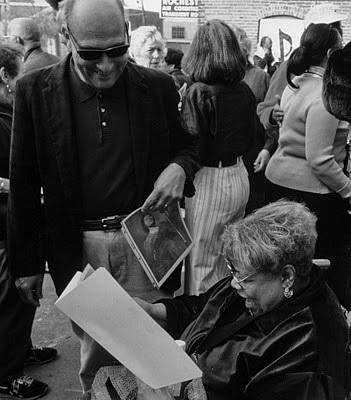 She hobnobbed with Bennie Moten and Count Basie, with Lester Young and Charlie Parker. 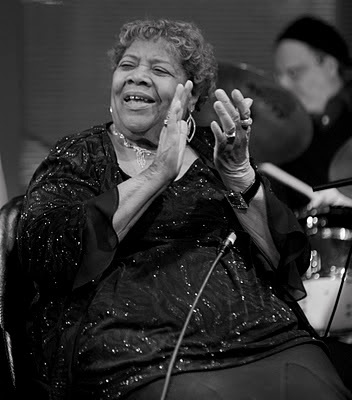 She recorded with Harlan Leonard’s Rockets, one of KC’s renowned big bands. 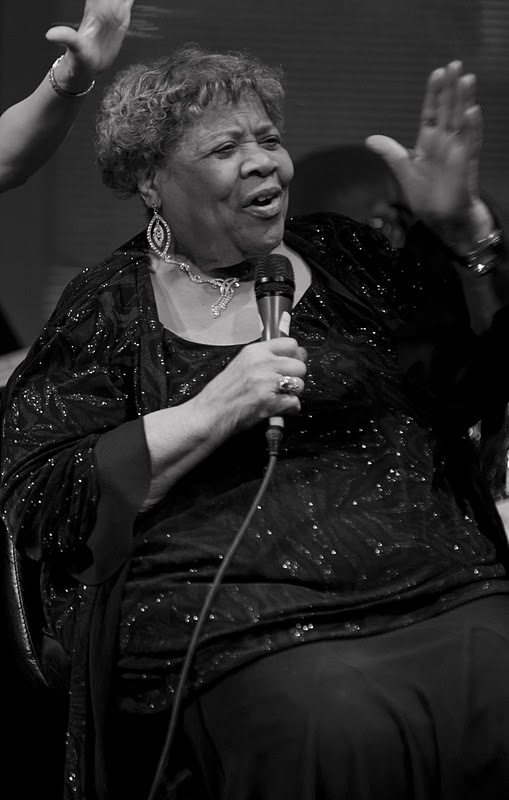 She traveled the world and sang, by her own description, swing learned in Kansas City. In the 1990s, Myra returned here, and with the Wild Women of KC was part of one of the most vivacious and funnest groups we Kansas City jazz fans have had the delight to enjoy. 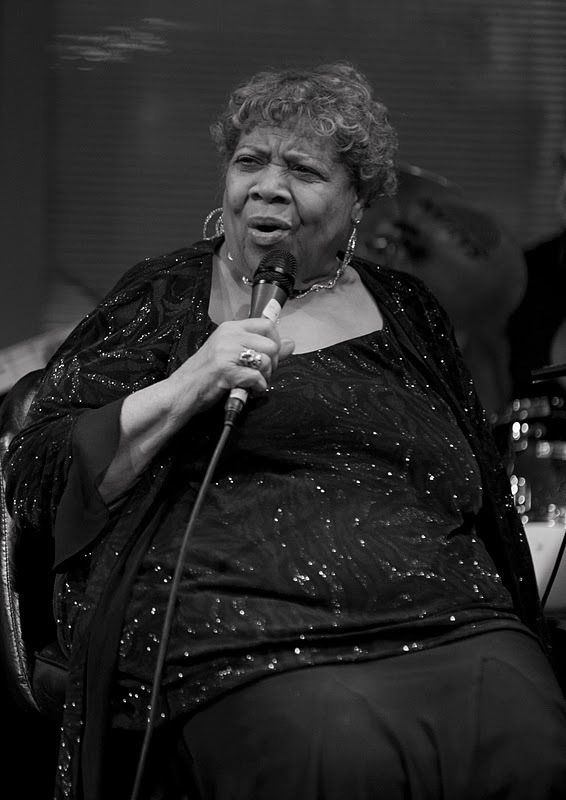 Myra sang swing learned when Kansas City jazz masters dominated the music. Then others learned from her. This is what I meant when I wrote last week that in Kansas City, we have a jazz culture and tradition, which even today is passed from one extraordinary musician to the next. Friday, one of our last links to Kansas City’s jazz origins, the wonderful Myra Taylor, passed at age 94. 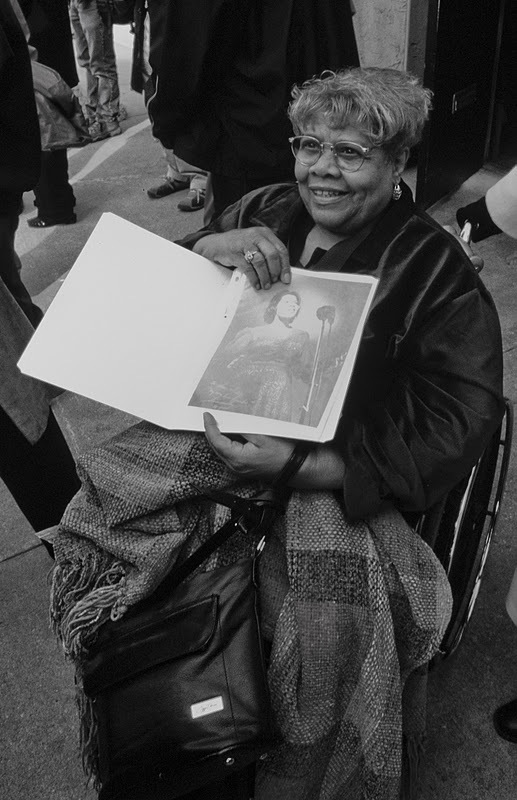 What she gave us cannot be replaced, but neither can it be forgotten. So today, let’s remember Myra with two sets of photos. 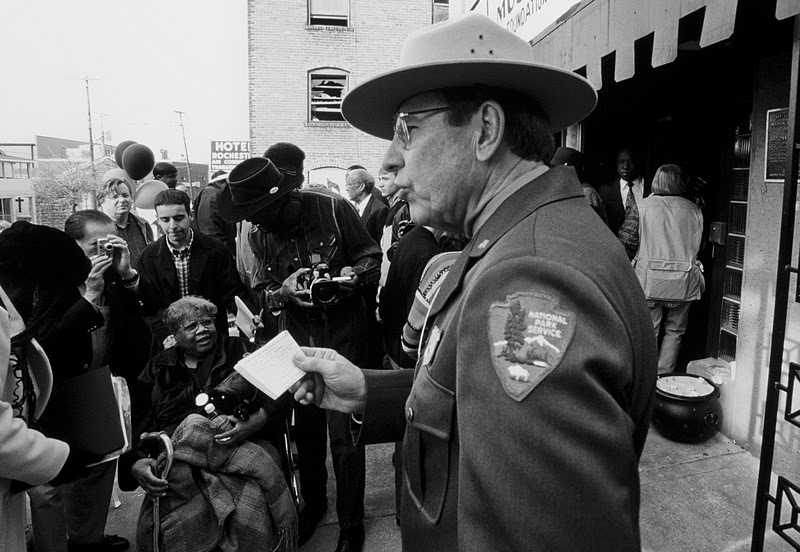 The first is from the fall of 2003, when the US Park Service unveiled the plaque on the front of the Mutual Musicians Foundation designating it a National Historic Landmark. Outside of the Foundation that day, Chuck Haddix from UMKC’s Marr Sound Archives gave Myra copies of publicity photos from her younger days which she was obviously thrilled to see. The second set is from February 27th of last year, when I photographed the Wild Women of Kansas City playing The Blue Room, celebrating Myra’s 93rd birthday. Some photos from that night were featured in a previous post (here). But here’s a few additional shots taken of the night's star (clicking on a photo should open a larger version). 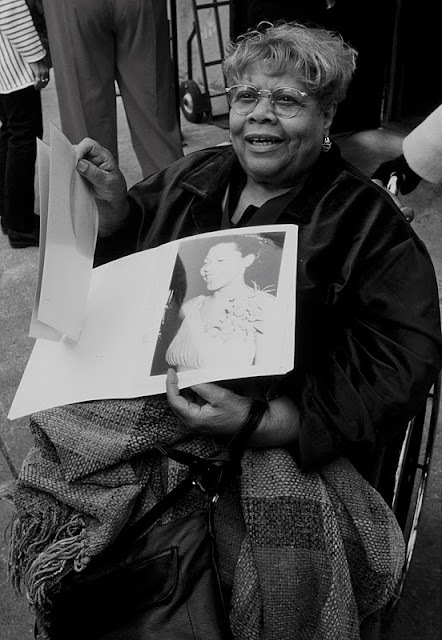 When the US Park Service unveiled the plaque designating the Mutual Musicians Foundation a National Historic Landmark, Myra Taylor was in the front row. Restaurant leases typically contain a clause allowing them to not pay rent for any days they’re closed due to repairs needed to the landlord’s property. That’s why, when a restaurant closes and the business owner is still liable for lease payments, it’s not uncommon for the restaurant to post a sign saying it is closed for repairs. Jardine’s, arguably Kansas City’s premier jazz club for two decades, has a sign posted in its front window which reads, Closed for Repairs. Internet chatter says the staff was laid off last week. Meanwhile, in New York City, a renowned jazz club has changed formats. The Iridium is where electric guitar pioneer Les Paul played each Monday night. But it’s also a jazz institution, where Harry “Sweets” Edison, Frank Wess, Clark Terry and Junior Mance recorded a live CD in 1997, and where an Art Blakey alumni group recorded in 1998. So I guess that’s it. Will the last aging clientele to leave a repair-bound jazz club turn out the lights? On October 29th, Kansas City jazz trumpeter Hermon Mehari and a group of musicians filled the Record Bar with 20-somethings for a tribute to Michael Jackson. The show mixed jazz and pop to the thrill of a large, youthful crowd. And pianist Mark Lowrey fuses jazz with hip-hop at the Record Bar on the 21st of this month. Hip Hop may not appeal to me, but it doesn’t need to. I’m part of the aging clientele. Mark will be exposing the music to an audience packed with the next generation of clientele. Kansas City’s spectacular young jazz musicians are reaching out to a broader base through jazz plus something shows. They’re expanding the music and its reach. They’re growing jazz. Not that my generation is ready for lights out. The Kansas City Jazz Orchestra sold over 200 deals on Groupon for this Friday’s show. Considering that most of those were for multiple tickets, it’s a terrific new-media response for a 1000-seat house (and far better than I predicted they’d do. Sometimes, I’m thrilled to be wrong). Also, before reaching for the light switch, take look around town (and at recent blog posts). Kansas City is home to two new jazz venues, 1911 Main and Take Five Coffee + Bar. That’s not enough locations to showcase all of the talent bursting this city’s jazz seams. But it’s not lights out. A couple months ago, I was in Toronto, Canada, a huge metropolitan area with an all-jazz radio station. On Friday night, I went looking for jazz. I found a downtown club, with an atmosphere similar to Jardine’s. Before the band started, background music included Basie, “Lockjaw” Davis and Big Joe Turner. I felt right at home. The night’s live band was one that plays the club every weekend. They were enthusiastic, rattling through standards and jazz-infused R & B, not unlike what City Light Orchestra once played. But this was not the quality of jazz you’ll hear in Kansas City. It wasn't close. The pianist pounded the keys like a pugilist. The trumpeter soloed with more subtlety, but lacked the sophistication of a Stan Kessler or a Hermon Mehari. I don’t know that one band heard one night was typical of Toronto. I don’t know Toronto’s jazz culture. But I question whether the city is home to jazz masters passing on their knowledge and support to the next budding jazz master, like Kansas City. A jazz culture thrives here. I don’t know Jardine’s situation. I sincerely hope the club reopens, and soon. And let’s not forget that in recent years both The Phoenix and The Majestic reopened, under new ownership, after closing. This city has a history of jazz club revivals. But what if Jardine’s is done? We have weekends at the Mutual Musicians Foundation. The Blue Room and The Majestic remain. Two other new venues are already open. Young jazz musicians are enticing their generation. This may be a time of transition. Because restaurants and clubs post a Closed for Repairs sign more often on advice of attorney than because they’re closed for repairs.